Cultural Design: Is This My Story to Tell? 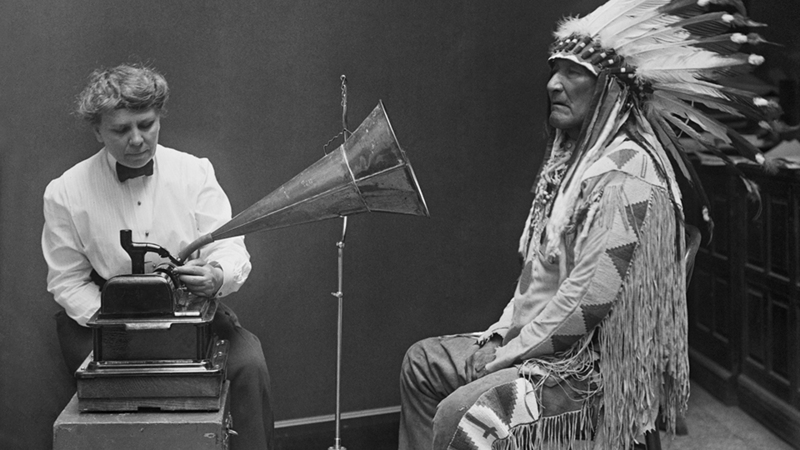 This 1916 image of Frances Densmore and Blackfoot leader Mountain Chief listening to a cylinder recording has become a symbol of the early songcatcher era. 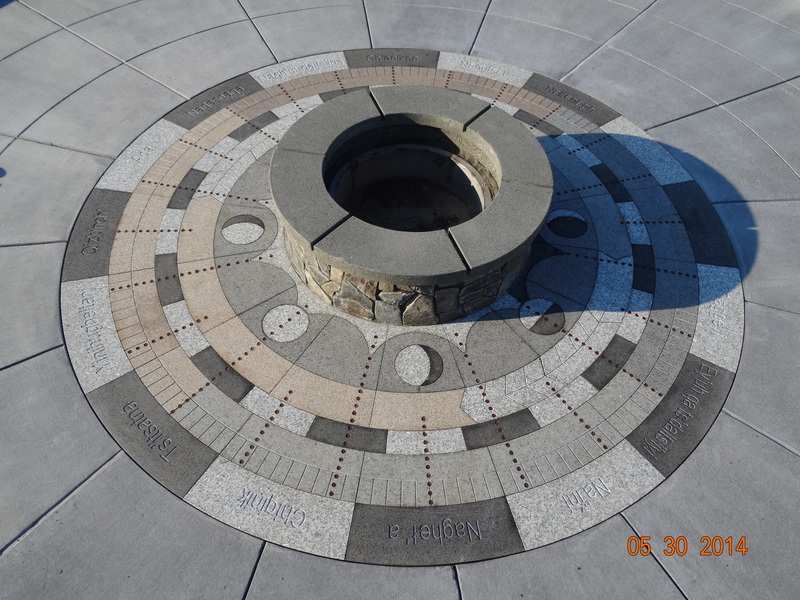 As a landscape architect, I subscribe to the idea that within our designs we are trying to convey stories. At the beginning of any effort, one of the most important questions is, “Whose story am I trying to tell?”. More important than that question is, “Is this story mine to tell?”. For many of our designs, we are creating new stories based within the typical site programming of clients needs and wants, function, aesthetics, and the design elements that contribute to comfort and enjoyment. We are telling a story that we are creating on our own, or creating new with our clients. The origin and ownership of stories comes to the forefront when we look to culture and tradition for elements to incorporate into our designs. As designers, we get inspiration from all of the sources around us, and get truly excited with taking what we see and incorporating it into what we do. We might treat the whole world as a design sourcebook. The difficulty is determining whether there is any meaning behind what we see and draw from, and whether our use or adaptation of it is appropriate. Appropriate. Is it our story to tell? If a story isn’t ours to tell, our telling of it will most likely have mistakes and not be true to form. If a story isn’t ours, then we either need to get permission to tell it (and the training to do so) or we work with the owner of the story to tell it with them… or ideally, assist them in telling their story within our medium (landscape and site). Within our expertise as design professionals… our success is facilitating stories to be heard in new ways. Is this my story to tell? 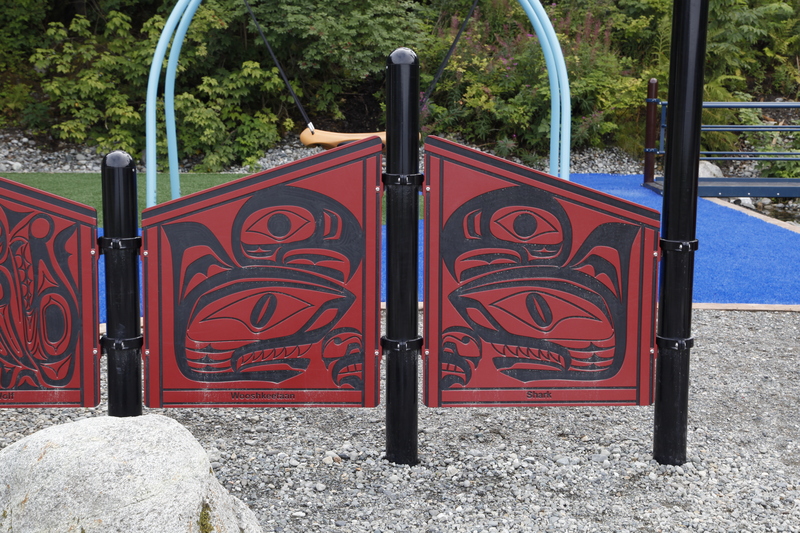 Yakutat Community Playground – Clan artwork used to create a play fence representing the six local clans. 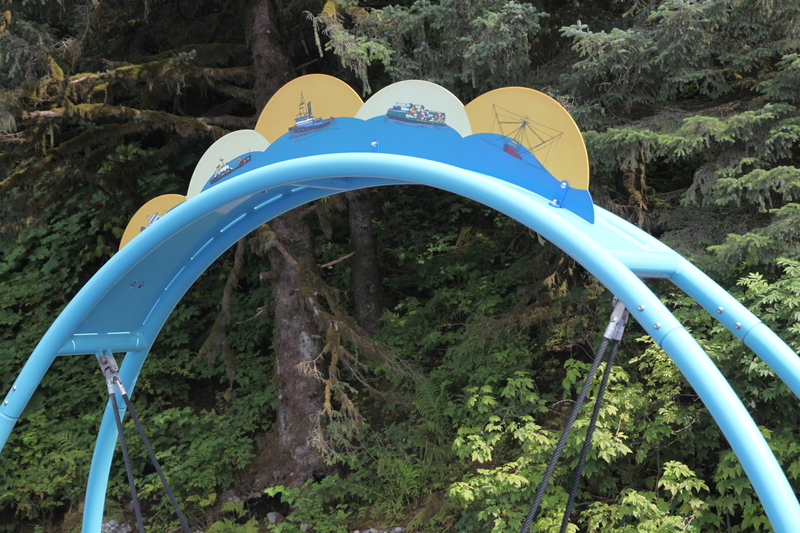 They also show moiety, and history of arrival in the Yakutat area on their backs. 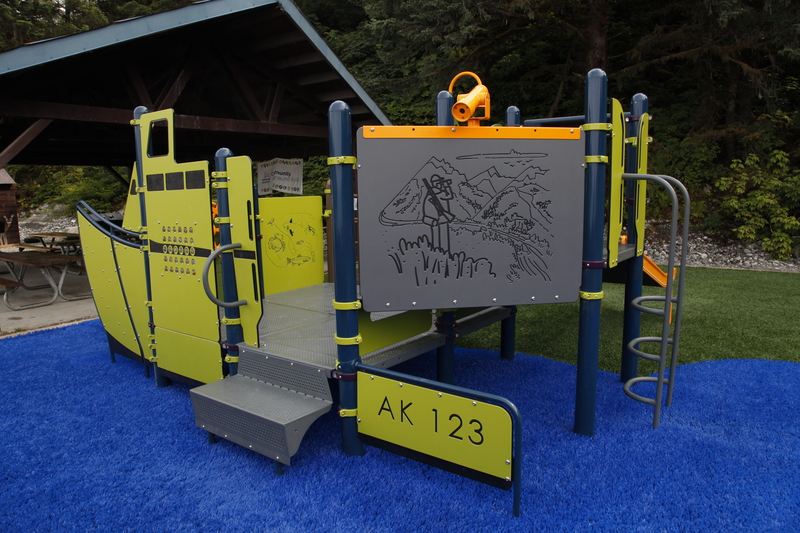 Yakutat Community Playground – A swing with images of the ships that visit and call Yakutat home. 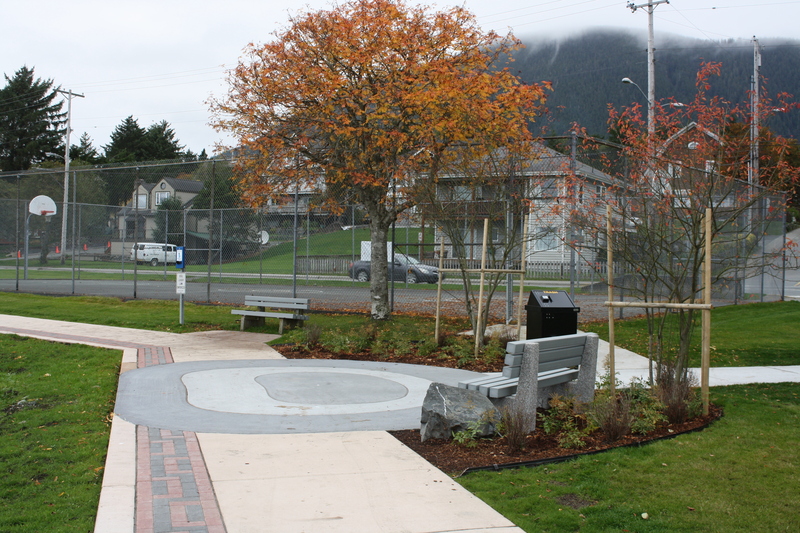 Sitka SeaWalk – Brick pavers and formline patterns developed with local partners to reflect the local community and Tlingit culture. Note: The image I use at the beginning of this blog post with Frances Densmore and Mountain Chief also made me question whether “this photo is mine to use”. Other than proper usage, I thought that it might reflect colonialism or be in negative contrast to what I’m trying to say in this post. She was functionally an ethnomusicologist, and in the face of the damage of colonialism, these kinds of efforts did assist in preserving much information that might have otherwise been lost. As a designer, I’m hoping that I’m not in the same situation of trying to be helpful in the face of cultural destruction. 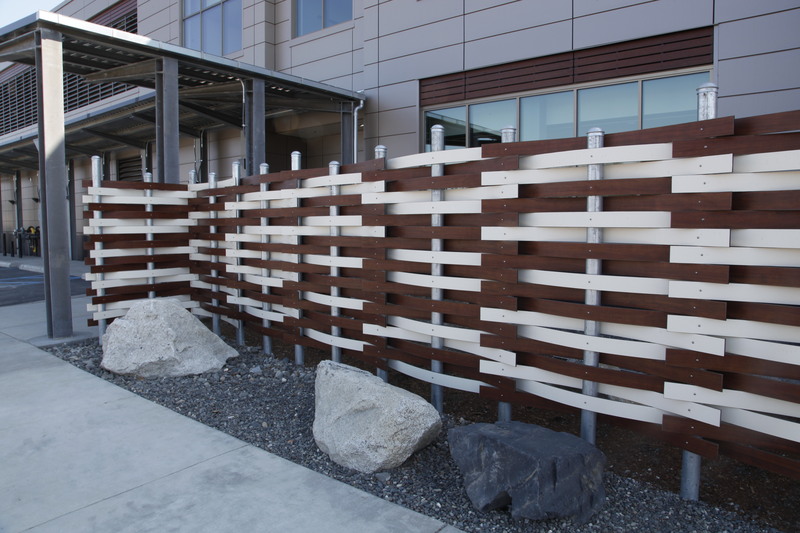 I hope that I can assist the stabilization and growth that seems to be occurring, until there are Alaska Native landscape architects. I very much like the analogy of the “rising tide” that the Kenaitze Indian Tribe uses. Until then, I’m generally slightly uncomfortable in my role as the middle-aged white guy who is trying to listen and be of service. I think that discomfort is necessary. It means I’m paying attention. If you'd like dialogue, please leave a comment (I review them before they are posted). If you don't want your comment posted, just let me know. Then you have a way to initiate interaction as desired. Heck... I like making informative (and entertaining) presentations. If you find value in what I might offer, I'm available as a speaker/facilitator/workshopper.